SAN FRANCISCO  Michael Vick and the Humane Society said on Monday that an application built to run on Google Inc.'s Android software glorifies dogfighting. The cellphone app is called "Dog Wars" and lets players feed, water, train and fight their virtual dogs against others. "I've come to learn the hard way that dogfighting is a dead-end street," Vick said in a statement posted on the Humane Society's website. "Now, I am on the right side of this issue, and I think it's important to send the smart message to kids, and not glorify this form of animal cruelty, even in an Android app." The app is by Kage Games, whose website features an illustration of a pit bull with a bloody muzzle next to the 'Dog Wars' logo. 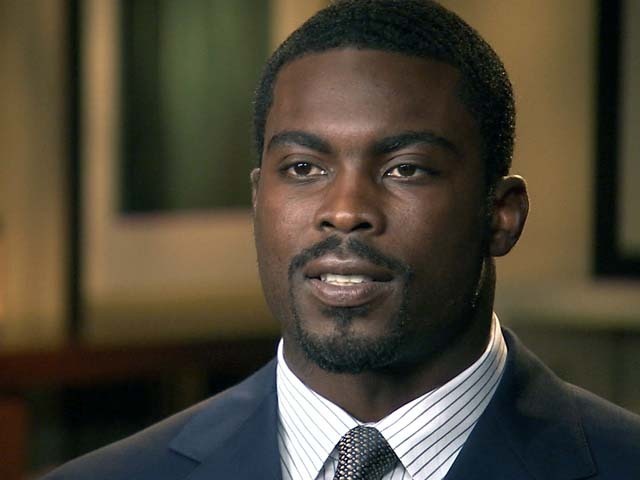 Vick's Dogfight Compound to Become Rehab Center? A website where the app can be downloaded stresses that it is only a video game. "Perhaps one day we will make gerbil wars or beta fish wars for people who can't understand fantasy role play games," it says. Humane Society President Wayne Pacelle said, however, the game could be used as virtual training ground for would-be dogfighters. "Android should drop 'Dog Wars' from its online market and join the national movement to save dogs from this violent practice," Pacelle said in a statement. The American Society for the Prevention of Cruelty to Animals and other groups also called for the app to be pulled. Vick was once the NFL's highest-paid player but was arrested in 2007 and convicted on dogfighting charges, for which he served 18 months in federal prison. He returned to the league in 2009 and is now a star quarterback for the Philadelphia Eagles. Google did not immediately respond to messages seeking comment.